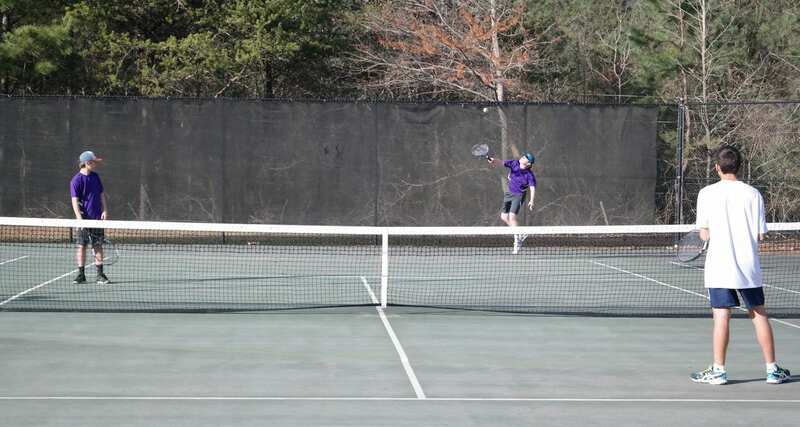 The Gilmer High School tennis team followed a senior night shutout Monday against Fannin with matches at Pickens Tuesday and Cherokee Wednesday. In the region match at Pickens, the Bobcats won 4-1, while the Lady Cats fell to the Dragonettes by the same margin. Boys singles action against the Dragons saw Riley Hice defeated Skyler Denton 6-0, 6-0. Issac Hensley downed Sam Barber 6-0, 6-0, while Dusty Ray bested Grady Pearson 6-2, 6-2. The combination of Cole Edmondson and Chandler Cantrell beat Stephen Jordan and Blue Goodman 7-5, 6-2, while Kyle Baker and Cody Manus teamed up for the only Pickens boys victory by downing Matthew Bruner and Noah Chastain 7-6, 6-2. An exhibition boys singles match featured Carter Hice beating B.J. Barnhill 6-4, 6-2. In girls singles matches, Dragonette Ginny Morris defeated Ally Davis 6-4, 6-2. Sarah Prather beat Kali Malham 6-2, 6-4, while Hope Bobak fell 7-6, 2-6, 5-7 to Ashley Hamby. 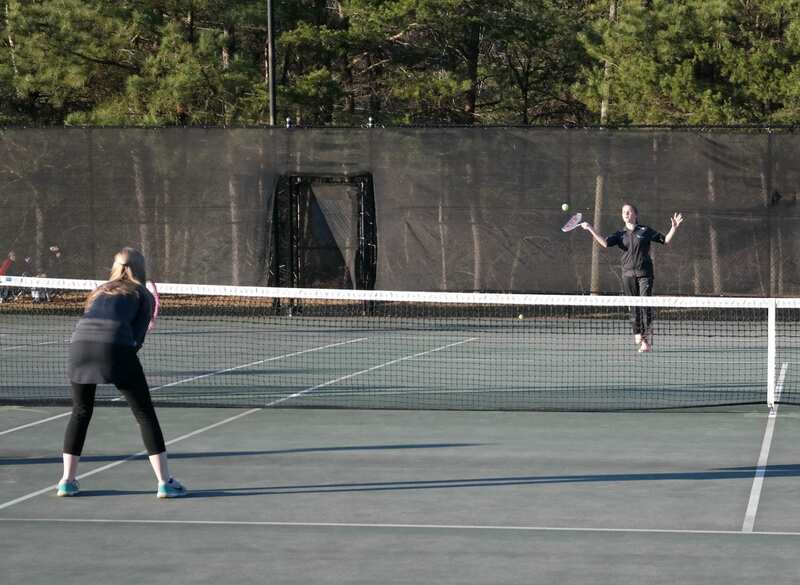 Peyton and Kendal Avery bested Hannah Thomas and Chancey Davis 6-3, 6-0 in doubles action, while Katie Marick and Katie Sheahan secured the lone Lady Cats triumph with a 6-3, 6-1 victory over Katie Cowart and Emma DePuma. Exhibition girls matches featured Lady Cats Mary Elizabeth Walker and Moriah Martin fall 8-4 and the Gilmer duo of Lauren Cole and Sophie Morrison dropping a 8-5 affair. The team then headed to Bridgemill Athletic Club Wednesday to face the Cherokee Warriors in non-region action. The Bobcats fell 3-2, while the Lady Cats again fell 4-1. Riley Hice dropped his match 6-0, 6-0. Hensley fell 6-0, 6-1, while Ray lost 6-1, 6-2. GHS got its boys wins in doubles action. Edmondson and Cantrell won 4-6, 6-1, 6-3, while Bruner and Chastain picked up a 6-3, 7-5 victory. Carter Hice fell in an exhibition match, 8-4. The Lady Cats were also swept in singles matches. Ally Davis lost 6-0, 6-0, Malham fell in a hard-fought 2-6, 7-6, 0-6 match, while Bobak dropped another tough match 6-7, 7-6, 4-6. In doubles matches, Chancey Davis and Sheahan fell 6-0, 6-2, while Marick and Cole teamed up for the lone girls win with a 6-2, 6-3 victory. Martin won an exhibition girls match 8-5, while Walker and Morrison fell 8-5 in an exhibition doubles contest. Following the week, the Bobcats sit at 11-2 (4-1 in region play) for the year, while the Lady Cats are 7-6 (2-3 in region play). Gilmer has another busy week on tap. The team heads to Dawson Monday, before playing a make-up region match Tuesday at Northwest Whitfield. Another region make-up will take place Wednesday, as GHS welcomes Ridgeland. Gilmer then returns to the road Thursday, as it heads to White County for a match against the Warriors.